Nice product. Sturdy, good quality. Would recommend. Will buy again. they imprint looks wonderful and they came on the exact day we were told they would. 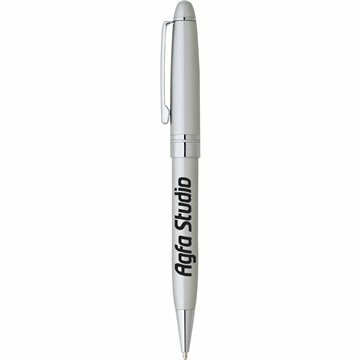 the end-product is the best promotional pen we have yet had, and we are thrilled! thank you---we would definitely use AnyPromo again. Lastly, our customer service rep, Rosa was very informed, thorough, and had fantastic follow through. We ordered more because they are in high demand. This is an attractive, quality product that's helpful for everybody! this pen was such a nice quality. Very easy to order with AnyPromo.